Hello,My account name is ●●●●●. 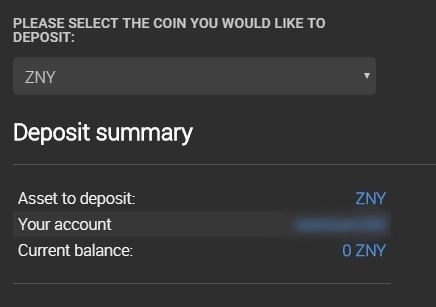 6 days ago（2018-01-14 01:44:39）, I sent 2,430.03499383 BitZany（ZNY）from BitZeny Wallet to my CryptoBridge Wallet. The address was correct, but the deposit has not been reflected yet. Please respond to this problem.